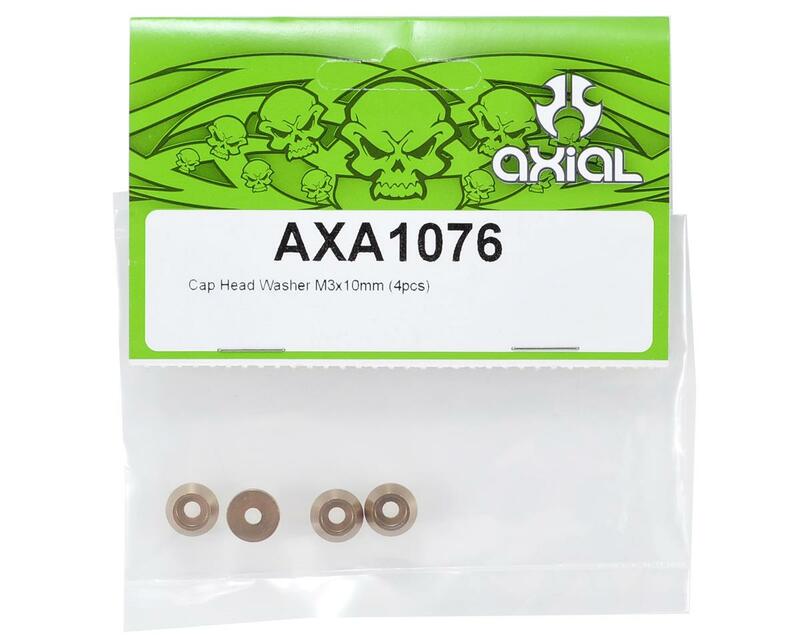 This is a pack of four optional Axial 3x10mm Cap Head Motor Mount Washers. 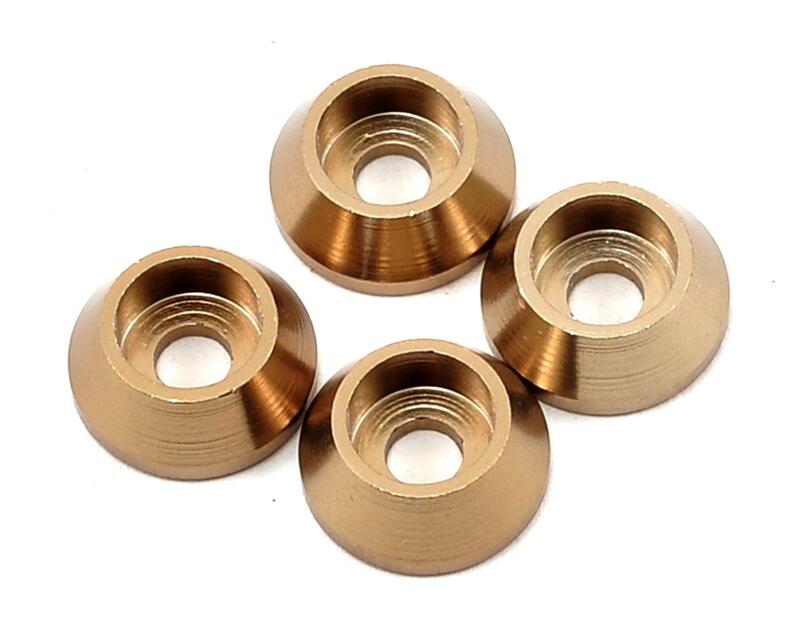 These machined cap head washers are designed for motor mount screws and are perfect for big power applications when maintaining gear mesh is critical. These washers will also prevent motor mount screws from digging into your motor plate and scratching the finish.